A new Utah poll has the medical marijuana initiative still doing well, Los Angeles cracks down on illicit pot shops, the US and Ecuador renew cooperation in anti-drug air operations, Bolivia's Evo faces problems, and more. Los Angeles Arrests More Than 500 in Crackdown on Illicit Pot Shops . A crackdown on unlicensed marijuana businesses in the city has ended with more than 500 people arrested on misdemeanor charges, the city attorney's office said. The charges come in 120 separate criminal cases filed in connection with 105 unlicensed businesses. The defendants are charged with unlicensed commercial cannabis activity within the city, which carries a potential sentence of six months in jail and $1,000 in fines. There are 165 licensed pot shops and delivery services in the city, but many shops persist in selling without a license. New Utah Poll Shows Continuing Support for Medical Marijuana Initiative . Despite the Church of Latter Day Saints coming out against the Proposition 2  medical marijuana initiative, support for the measure remains strong, a new poll finds. The poll had 64% either "somewhat" or "strongly" in support of the measure. Ecuador, US to Resume Anti-Drug Air Operations . Ecuador said Thursday it is resuming anti-drug air operations with the US a decade after throwing out the US from the Manta air base. Then President Rafael Correa canceled the cooperation in 2009, saying the US military presence threatened national sovereignty, but current President Lenin Cerna, who is friendlier to the US, has tightened ties with the US. Oklahoma Could Cut Prison Population in Half, Report Says . A new report from the American Civil Liberties Union's Campaign for Smart Justice and the nonpartisan policy organization the Urban Institute finds that Oklahoma has surpassed Louisiana in having the most prisoners per capita, but that the state can take measures to reduce the prison population. Those include ending mandatory minimum sentencing, shifting more discretionary power in sentencing to judges, but the report said the move that would have the most dramatic impact on population would be to focus on drug sentences. The report recommended slashing the time served for drug distribution by 60%, from an average of 3.3 years to 1.3 years. That move alone would create a 22.5% drop in the prison population by 2025, the report said. Bolivian Coca Farmers Demonstrate Against Their Former Coca Grower President . 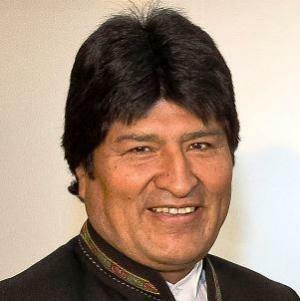 Thousands of coca growers took to the streets of La Paz on Wednesday in opposition to the government of President Evo Morales, himself a former coca grower and union leader. The protestors say the government's coca eradication efforts have hurt their livelihoods and led to the death of at least two of the members. Colombian Riot Police Break Up Bogota Marijuana "Smoke-a-Thon". Riot police in Bogota on Thursday broke up a "smoke-a-thon" defending the use of marijuana. The demonstration was called to protest President Ivan Duque's moves to tighten the country's drug laws, which allow people to possess small amounts of marijuana. Duque recently issued a decree allowing police to seize any drug consumed in public. The Bogota demonstration was quickly dispersed, with at least a half-dozen people arrested as clashes broke out. Nigerian Presidential Candidate Wants to Make Country Marijuana Export Giant . Omoyele Sowore, a publisher and presidential hopeful in Nigeria says he will make the country a marijuana exporting hub if elected as president. Sowore said many other countries are making billions from the plant, while people in Nigeria are being jailed for it. "Some of the best weeds in the world are grown in Ekiti state. I'm very serious. People are making billions out of that particular plant that is very potent in Nigeria. We should be focusing on it. We have to start taking care of our weed (Igbo), such that we can also contribute to the GDP of the world," he said. "Our NDLEA (National Drug Law Enforcement Agency) should get the notice, memo in advance that Nigeria will be exporting weed to cure cancer in other parts of the world. Instead of chasing after people who are growing weed whereas we are not chasing after our politicians who are smoking cocaine in their houses."